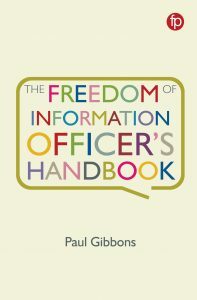 The Freedom of Information Act 2000 (FOI) and Environmental Information Regulations 2004 (EIR) introduced a right to information held by public authorities which came fully into force in 2005. However, like all rights, it should be used responsibly by those who exercise it. Here, FOI Man, a public sector employee with several years’ experience of advising on and answering FOI and EIR requests, outlines the best way to make sure you get the most out of both regimes without creating unnecessary burdens on public authorities. Except where otherwise specified below, FOI is used to denote both pieces of legislation. FOI is a right. Full stop. You absolutely have the right to ask a public authority for any information that you like. Unless your request is invalid, vexatious, covered by one of the exemptions, or the authority doesn’t hold it, they have to make the information available to you. To an extent, you’re even allowed to dictate in which format they should provide it to you. So you have the power. But should you use that power? And if you do use it, should you consider the impact it might have on the public authority concerned? In these times of cuts and mass redundancies, is it right that scarce resources are spent digging around for information that you might have lost interest in by the time you get a response? And if you’re a campaigner, trying to engage your local politicians, do you really want to risk getting on the wrong side of them through your use of FOI? Is it a Pyrrhic victory if you get your information at the cost of officials’ time that could have been spent on doing the things you’re campaigning for? And there could be implications further down the road if we don’t use FOI responsibly. 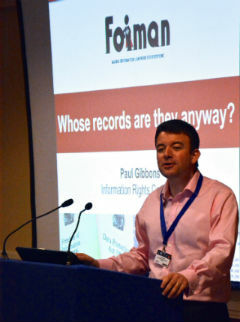 In other countries where FOI has been in place for years, enthusiastic early adoption has often led to a backlash from politicians and the courts. In Ireland, a prohibitive fees regime was introduced; in New Zealand, the courts considering appeals began to interpret exemptions restrictively. Over here, we’ve seen an attempt by politicians to remove themselves from FOI (thankfully rewarded with contempt from all sides), and there are regular calls from senior officials in various parts of the public sector for their particular area to be excluded from the legislation. It’s really easy to fire off an email asking for information. You can even send it to several thousand public authorities in one go. But be aware of the resource and other implications of that simple act. Here are my ten top tips on how to make effective, responsible use of FOI. Or better still, sleep on it. Consider if you really do want the information, and if you do, whether you have asked the right questions. Is the information already available on the authority’s website, perhaps in their Publication Scheme? Is there information there that could be used to make your question(s) more relevant or incisive? Has the question been asked before? There may be a ‘Disclosure Log’ on their website, or failing that, you could check WhatDoTheyKnow.com. Remember that the more organisations you send your request to, the more public money will be spent on answering your request. And use your research to weed out authorities that the request isn’t relevant to. You may already have a professional relationship with somebody within the public authority. Alternatively, the authority may publish direct contact details for the department that deals with the issue you’re concerned about. Try contacting them first to sound them out. At the very least they may be able to advise you as to what to ask for, and occasionally, they may even be able to give you more information than you would be entitled to under FOI. If you do decide to make a FOI request, cite the Act in your request (you don’t have to but it can help to avoid confusion). Make your request as clear as possible. Don’t be ambiguous. You can’t blame a public authority for misinterpreting your request if you’ve not specified clearly what you want. It’s tempting to throw everything including the kitchen sink into your request. Don’t. Keep your request short and to the point. You can always make other requests later if you want more information. Try not to assume that the person reading your request is determined to avoid answering your question(s). It’s likely that members of your own family, perhaps some of your friends, are public servants. Would you feel content to send them your request? Your request isn’t the only request that will be received by the authority. The people who have to answer your request will also have a number of other responsibilities to meet. Try to be patient and accept that you may not get an answer as quickly as you would like. In the vast majority of cases you will get a response before the statutory deadline of 20 working days (and note that phrase, ‘working days’ – in effect, organisations have a month to respond, give or take a couple of days). A lot of effort goes into answering FOI requests, even (often especially) when your request is refused. Make sure you’ve understood the response. Accept that in some cases, the authority just does not hold the information you’ve asked for. You may think they should, but if they haven’t, you can’t use FOI to force them to create it. Often the authority will explain why they don’t hold it – try to read their explanation with an open mind. If your request has been refused using one of the exemptions (FOI) or exceptions (EIR), the authority should have provided you with an explanation of which ones apply and how. Where a public interest test has been applied, they should have explained the arguments for and against disclosure. Try to take a step back and consider whether their arguments make sense. For instance, although you might like to have access to information about employees, you probably understand that some of that information is protected by the Data Protection Act. Whilst you may not be happy with the response, it may be that the Act has been applied correctly. If the arguments don’t make sense or you disagree with them, and you still want the information, use the authority’s Internal Review process. The authority should have sent you details of this process with their response. All you really need to do though is to write to them, asking for an internal review. It will help your case if you set out the reasons why you think the exemptions/exceptions don’t apply. Where a public interest test has been applied, you can put forward your own arguments for disclosure if you don’t think these have been considered. Again, be patient whilst waiting for a response, and when you do receive it, read it carefully. If you are still dissatisfied with it, consider contacting the Information Commissioner and asking him to review the response. Bear in mind that this may take some time – though turnaround times at the Commissioner’s Office have improved considerably in the last year. If you want to use the information you’ve been sent, do so responsibly. One example of this is asking for permission if you want to reproduce a document that’s been sent to you (or at the very least acknowledging the source). Even though you’ve been sent the information, the copyright will normally still belong to the authority concerned or whoever gave it to them. If you’re reporting on the information disclosed, try to provide context. Often the response will include an explanation of why, for instance, so much was spent on the particular activity you’ve asked about, or how spending compares with other similar organisations. Even if it doesn’t, it will often be a straightforward task to find contextual data or background. Whilst it may not make for as spectacular a story, excluding these facts could distort the impression given to your audience. This impression may well be convenient in the short term, but it could damage your reputation with the organisations that provide information to you, and ultimately with your audience if they learn that they are being misled. 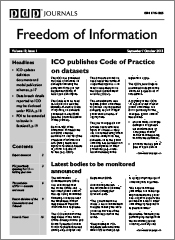 This guide has been written to help anyone who wants to make an FOI request. If you’re a campaign group, for example, and you have a website and would like to reproduce the above there, please feel free to do so, but I’d appreciate an acknowledgement and a link to my home page (https://foiman.com). Or if you prefer to put a link from your site to this page, that’s fine too.